A little kindness at the right time goes a long way. Be kind to people when they need it; not at your convenience. Kindness in deeds – caring for the sick, preparing food, cleaning, household chores etc. – is great. But kindness in words when someone is sad, upset, or feeling bad – emotional support, a hug, friendliness, encouragement etc. – is even greater. 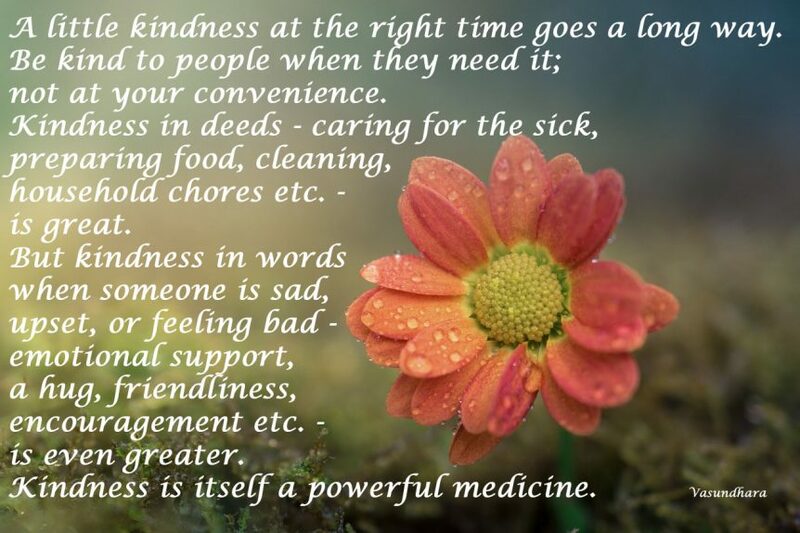 Kindness is itself a powerful medicine.